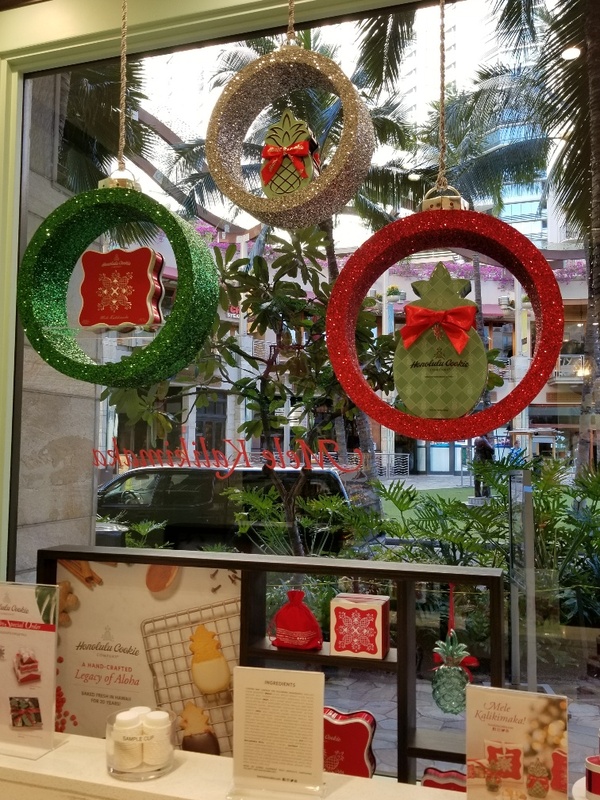 Our VM Bauble Shelves travelled all the way to The Honolulu Cookie Company, Hawaii! 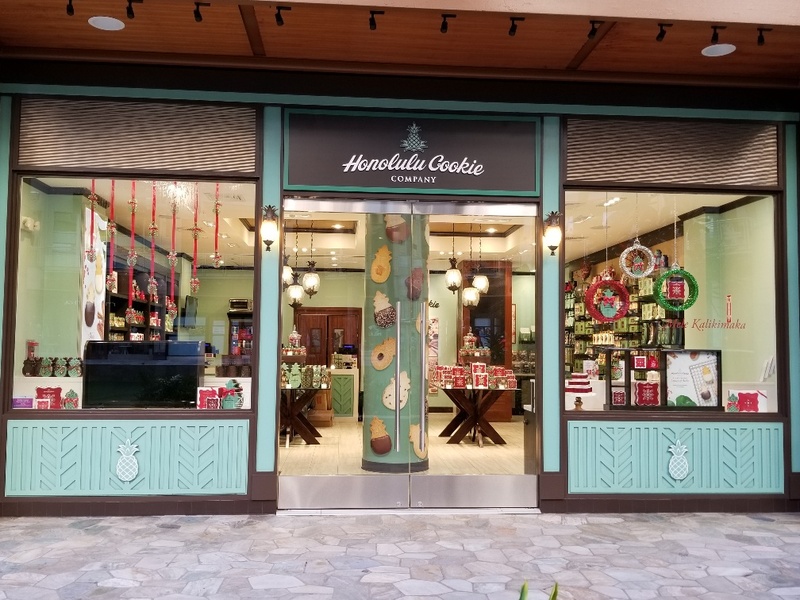 We recently produced our Classic VM Bauble Shelves for the Honolulu Cookie Company, to display tasty treats in their beautiful stores! The items safely made the 7000 mile trip from our studios in the UK to Hawaii, where they are now on display to showcase some of the Honolulu Cookie Company’s premium shortbread cookies. 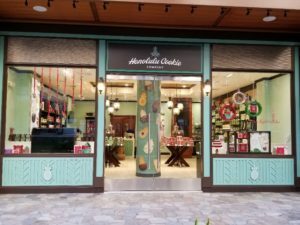 Finished in a range of traditional festive glitter colours, the decorative items are sure to entice locals and tourists alike at the Honolulu Cookie Company’s Hawaii, Las Vegas and Guam locations. The Classic VM Display Shelves are available in a range of sizes from 300mm up to 580mm diameter. They are supplied with a decorative silver bauble skirt and a clear acrylic shelf which is suitable to hold most small items of merchandise. 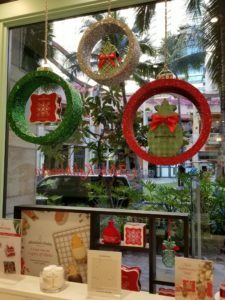 Hung within the store’s window with some decorative hanging thread, they are a great addition to the Honolulu Cookie Company’s festive display and signature store branding. At Graham Sweet Studios, we design and manufacture a range of polystyrene display props and decorations which are ideal to use for retail store window displays, corporate parties and events.